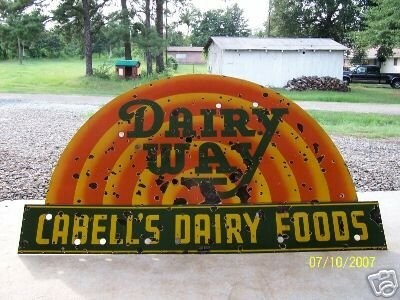 This sign is for Dairy Way Cabells Dairy Food. The sign’s colors are orange, yellow, and green. The text on the sign reads: Dairy Way Cabell’s Dairy Foods. The sign shows an arching design with text.